This week, dozens of our brothers across the country will graduate from and be commissioned in the U.S. military, swearing to defend our great country against all enemies foreign and domestic. The SigEp Patriots Project (SPP) would like to congratulate all our brothers who graduate this year, and hope that the SigEp Patriots among them will reach out to SPP. On this date, World War I Veteran and NY Beta Brother (then) First Lieutenant James “Jimmy” A. Meissner, U.S. Army Air Service won his first aerial engagement while piloting a French-made Nieuport 28 about three miles above Foret De La Rappe, France. Jimmy would go on to become an American Ace during WWI and attain the rank of Major. According to the SPP archives, only five SigEp Patriots have been awarded the DSC. 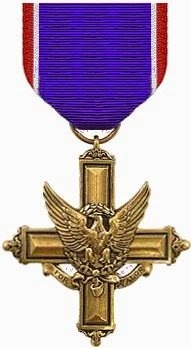 The DSC is the second highest awarded presented by the U.S. Army after the Medal of Honor. Latter in his WWI service, Brother Meissner would earn a second DSC for his actions during WWI. 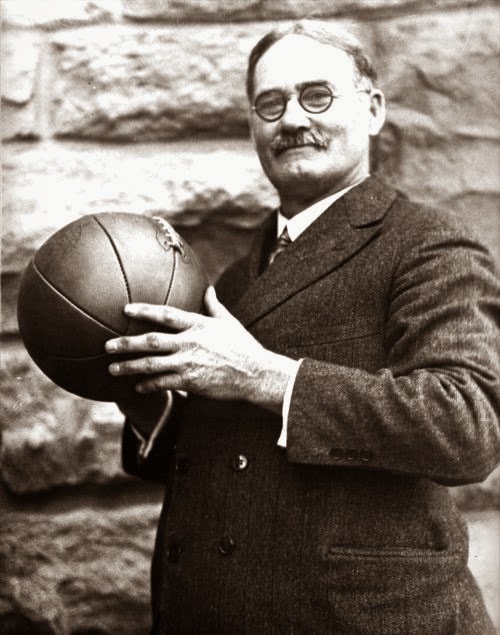 Born in Ontario, Canada, World War I Veteran and KS Gamma Renaissance Brother Captain James Naismith, U.S. Army National Guard (Kansas) became a naturalized U.S. citizen on this date. Montana Attorney General MT Alpha Brother John W. Bonner entered the U.S. Army on this date and served during World War II. World War II Veteran and WI Beta Brother Ensign Lee Otis Nelson, U.S. Navy Reserve went missing in action in English waters in May 1944, and on this date he was declared as killed in action. Brother Nelson is among the 5,127 American service members memorialized on the Wall of the Missing at the Cambridge American Cemetery between the villages of Coton and Madingley in Cambridgeshire, England. On this date, World War II Veteran and VA Zeta Brother General Robert J. Wood, U.S. Army became commanding general of Fort Bliss and commandant of the Antiaircraft Artillery and Guided Missile School there. 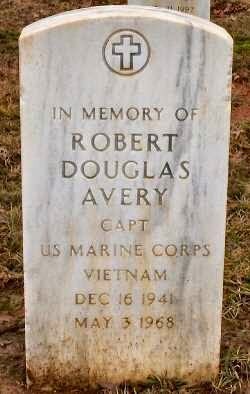 On this date, Vietnam War Veteran and TN Gamma Brother First Lieutenant Robert Douglas Avery, U.S. Marine Corps was killed in action while piloting his A-6 (Intruder) during a secret mission over North Vietnam. He was posthumously promoted to Captain. Robert graduated from East Tennessee State University in 1965, and began his service in the U.S. Marine Corps. reconnaissance mission over North Vietnam providing support to U.S. Air Force operations. Radar contact was lost with the aircraft when it was approximately 10 kilometers northwest of the coastal town of Dong Hoi. Search and Rescue forces were unable to locate any sign of the crew which was declared missing. Returning U.S. prisoners of war were unable to provide any information on the eventual fate of the crew. After Operation Homecoming they were declared killed in action, body not recovered, based on a presumptive finding of death. Subsequent visits to Vietnam by U.S. personnel were unable to locate Robert’s remains. Brother Avery’s name can be found on Panel 54, Line 023 of the Vietnam Memorial “The Wall” in Washington, DC, and on the Vietnam Memorial at the Burke County Courthouse, NC. A marker has also been placed in the Mountain Home National Cemetery in Johnson City, TN. IN Alpha Brother Major Malcolm K. Bekner, U.S. Air Force was assigned to the 347th Tactical Fighter Wing out of Moody AFB on this date when he crashed to his death while piloting his F-4 (Phantom) in Canada during a joint U.S. / Canadian air forces exercise. He was 35 years old. Respect can be paid to Brother Bekner at Arlington East Hill Cemetery, Arlington, IN. FL Theta Brother Christopher J. Sacra began his patriotic service in the U.S. Navy on this date. On this date, TN Theta Brother Kenneth M. Ballard began his patriotic service in the U.S. Army. U.S. Army World War II Veteran and NY Alpha Brother R. Charles Backus died on this date in Mexico, New York at the age of 84. During WWII, he was a cryptographer in the Signal Corps. Brother Backus was an owner of the Oswego County Weeklies for over 50 years. Charles was also a nationally known Holstein Auctioneer with R. Austin Backus Inc., and served many years as a delegate of the National Holstein Convention. Respect can be paid to Brother Backus at Mexico Village Cemetery in Mexico. 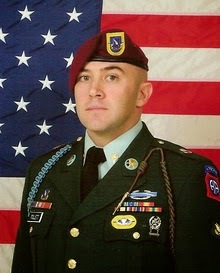 On this date, two-time Operation Iraqi Freedom Veteran and OH Kappa Brother Sergeant Norman Lane Tollett, U.S. Army died in Baghdad of wounds sustained when his unit came in contact with enemy forces during a combat patrol operation while assigned to the 1st Battalion, 504th Parachute Infantry Regiment, 1st Brigade Combat Team, 82nd Airborne Division, Fort Bragg, NC. Norman began his service in the Army in 2004. Respect can be paid to Brother Tollett at Brookdale Cemetery in Elyria, OH. Word War II Veteran and CO Delta Brother Ensign Floyd D. Burnside, U.S. Navy died on this date in Highlands Ranch, Colorado. Brother Burnside graduated from Colorado School of Mines with a degree in petroleum engineering, and subsequently joined the Navy Air Corps in 1941. During WWII, he flew with squadrons 18 and 20 from 1941 to 1946. After 28 years with the Shell Oil Company he retired, and traveled the world, climbed the pyramids in Egypt and kissed the Blarney Stone in Ireland. Respect can be paid to Brother Burnside at Fort Logan National Cemetery in Denver, CO.
NC Beta Brother Captain Joseph Henry Miller, Jr., U.S. Army National Guard (North Carolina) (Retired) died on this date at Hospice Rutherford County, NC. Brother Miller graduated with a degree in Textile Engineering, and his career in the textile industry began at Stonecutter Mills, followed by a long career with Hoechst-Celanese in Spartanburg, SC, where he retired. Respect can be paid to Brother Miller at Wesley Chapel Cemetery, Harris, NC. On this date, U.S. Navy World War II Veteran OH Eta Brother Robert E. "Bob" Oberlin, 84, died at his home in Marysville, Ohio. During WWII, Bob served in the Pacific Theater aboard the USS Iowa (BB-61). Brother Oberlin retired in 1992 from O. M. Scott Company where he worked for 35 years. A licensed realtor for over 40 years, he was an associate of ALT Realty Company and was a member of many realty associations on the state, national and local levels, including the Marysville Association of Realtors. Bob was also very involved with his community including a member of the Marysville Art League and as a Boy Scout cub master. A cartoonist, he created and published several comic books. Respect can be paid to Brother Oberlin at the Oakdale Cemetery in Marysville. TN Kappa Brother Andrew “Ox” Henderson graduated from the University of Tennessee at Martin on this date and was commission a Second Lieutenant in the U.S. Army. SPP is very pleased to report that no brothers have reportedly passed away during the week. * It’s official! Operation Iraqi Freedom & Enduring Freedom Veteran, MI Kappa Brother Sergeant Teddy M. Titus, U.S. Marine Corps is officially retired as of 01 MAY. * 01 MAY was also a great day for TN Epsilon Brother Thomas Pelham as he was celebrating his promotion to Captain, U.S. Army. Congratulations Brother and thank you for your service.